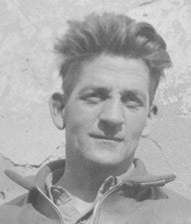 In 1931, 'An Phoblacht' editor Frank Ryan was jailed for publishing seditious articles. TOP officials in the Irish Government in 1982 asked ministers why An Phoblacht had not been prosecuted under the Offences Against the State Act 1939 as “a treasonable document or a seditious document”. The internal Government discussion has come to light under the 30-year rule releasing state papers. Censorship was openly enforced in the 1980s through Section 31 of the Broadcasting Act barring pro-republican voices from TV and radio. The privately-owned mainstream print media almost universally practised its own form of censorship and took the Establishment line in reporting the conflict. Throughout the 1970s and 1980s, An Phoblacht/Republican News was the main public media reporting on the use of torture by British state forces against prisoners, the Hunger Strikes and protests by political prisoners (North and South). It provided uncensored news about the ongoing military conflict and repression in the gerrymandered Northern state as well as economic and social struggles and strikes in the 26 Counties. 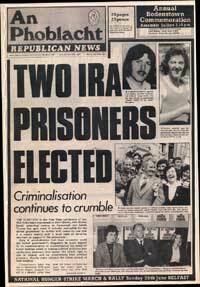 During the 1980/1981 Hunger Strikes, sales of the paper reached almost 60,000 per week. The 1982 move against An Phoblacht was mooted by senior civil servants in a document dated 15 July in a Government discussion of the then-weekly publication for newspaper status under the Post Office Act 1908. A senior ministerial adviser noted that Section 10 of the Offences Against the State Act 1939 “makes it a criminal offence to send through the post any document which is a treasonable document or a seditious document”. Declaring An Phoblacht to be a treasonable or seditious publication would have made it illegal to send out subscriptions of the paper by post, a significant move many years before widespread access to the Internet and at a time when sellers faced harassment, arrest or attack by the RUC, Garda Special Branch, British Army or unionist death squads. The 1982 Government document claimed that some editions of An Phoblacht contained stories which could be considered treasonable as they challenged the 26-County and Six-County states. The Attorney General at the time, Patrick Connolly, nevertheless warned that An Phoblacht “satisfies each of the requirements set out in section 20 (1) of the Post Office Act 1908” and this conclusion was “unaffected by a consideration of the contents of the publication”. The idea was left on the files. • In 1931, An Phoblacht editor and IRA legend Frank Ryan (left) – who fought as a member of the International Brigade in the Spanish Civil War – was jailed for publishing seditious articles.